Good Morrow! 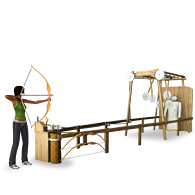 Why spend your days toiling away at a profession when you can while the day away at the Faire! Eat, play, and relax in the sunshine at this epic outdoor venue. 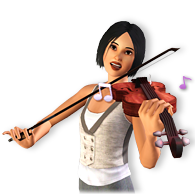 Make the world's sweetest music on the Fit as a Fiddle Violin or compete in the ultimate test of focus and strength at the Archer's Gauntlet. Only one true hero can be named the Duke of Bows! * *Duke of Bows is a fictional title, for only the most delusional Sims.